Winton is a town and locality in the Shire of Winton in Central West Queensland, Australia. Australian Age of Dinosaurs and Qantilda Museum are good opportunities to explore the local culture. Spend the 21st (Sun) exploring nature at Bladensburg National Park. 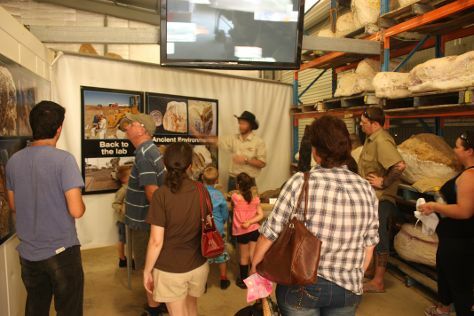 Next up on the itinerary: see the interesting displays at Waltzing Matilda Centre, get your game on at Ben's Chicken Stampede, learn more about the world around you at Corfield & Fitzmaurice General Merchants, and make a trip to Arno's Wall. To find traveler tips and more tourist information, refer to the Winton trip app . You'll set off for home on the 3rd (Fri).